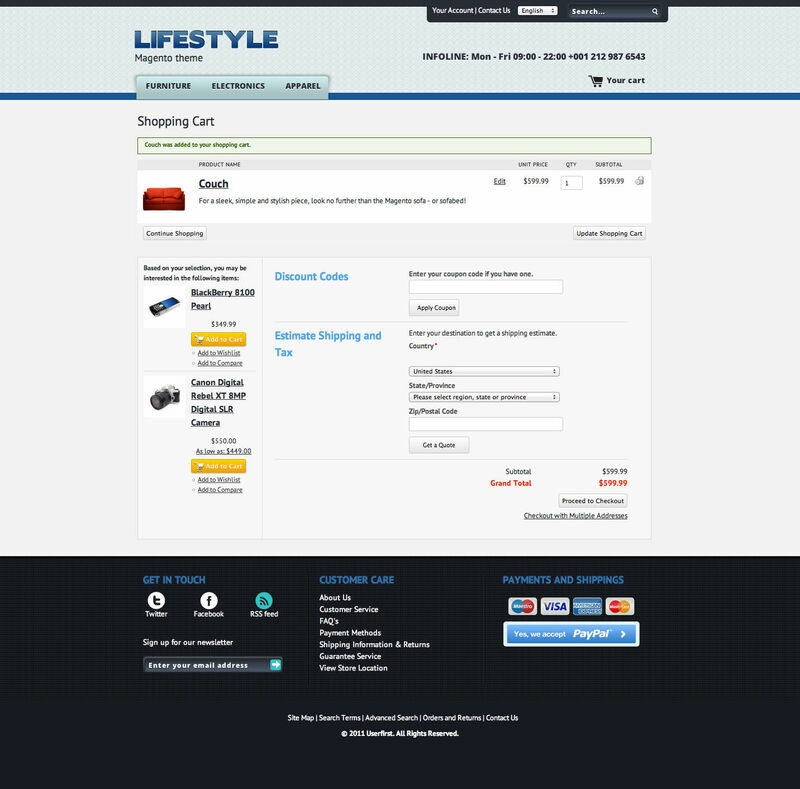 Lifestyle Magento theme with its clean and light look and feel is suitable for e-stores about wellness, sport, fitness, beauty, hobbies and holiday and any other lifestyle-related product and service. Give your visitors a full overview of your catalog with a multi-column menu, making the navigation easier and more intuitive. 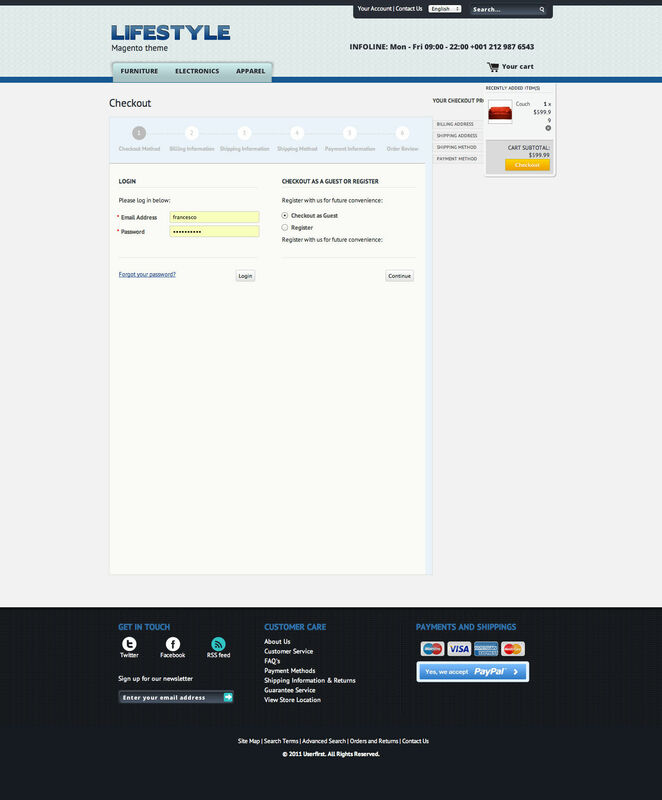 No need to install additional modules: add your categories to see them online. 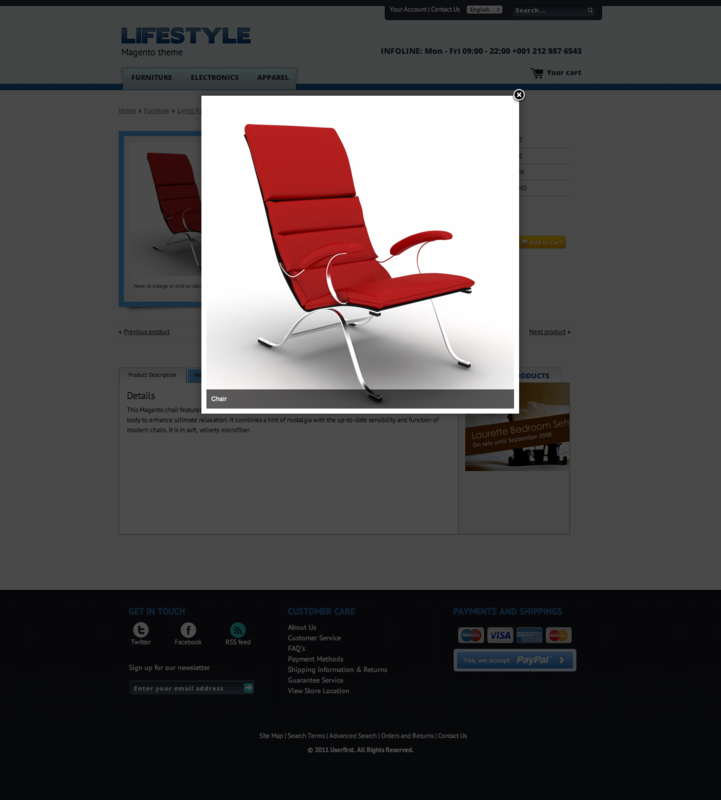 Product images have a built-in zoom effect (with inline product titles) and a fancybox jquery gallery. 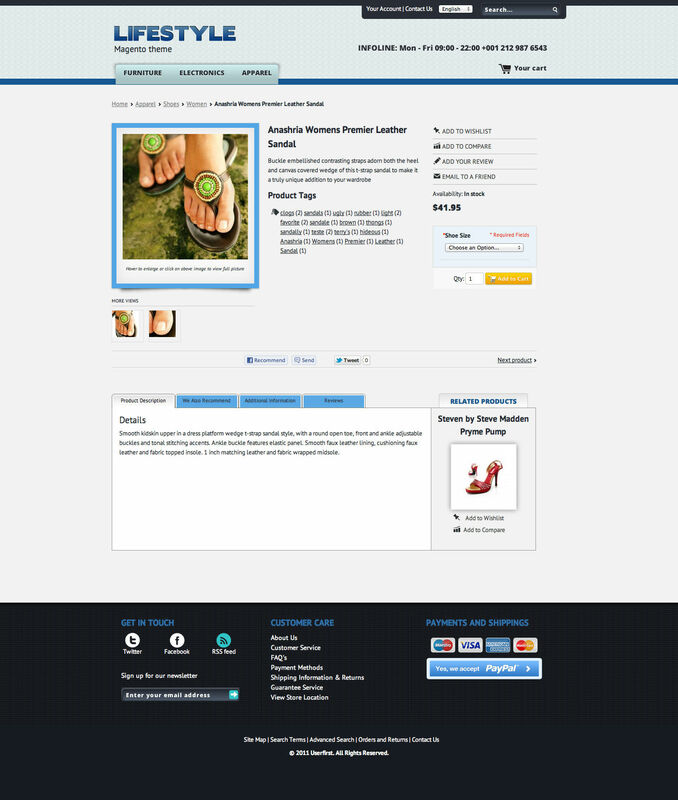 Products tags are positioned at the bottom of the product description while the extra links (whishlist, compare, email) are on a right tolbar for a better content organization. 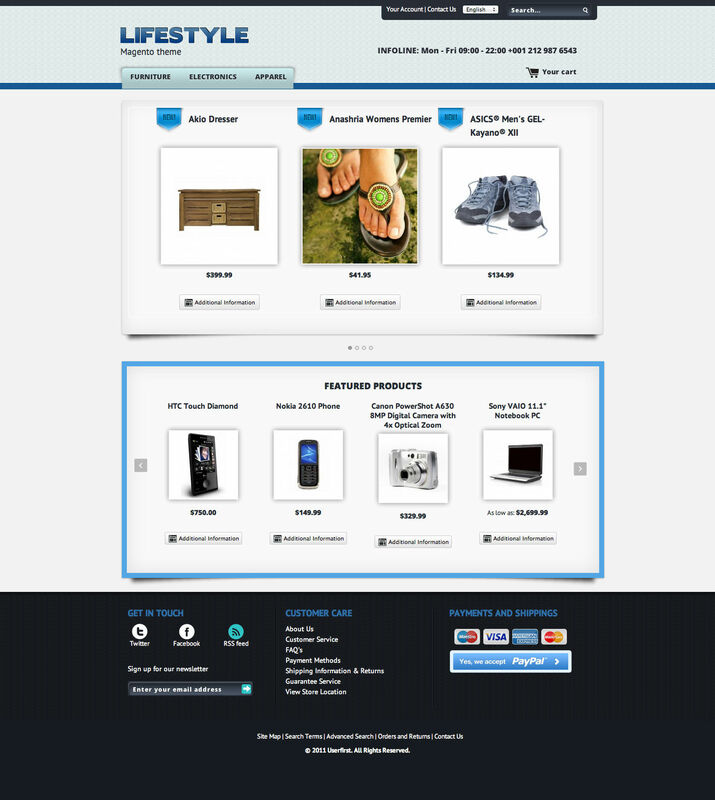 Visitors can browse the category products using the built-in product navigation and/or share the page on facebook and twitter. 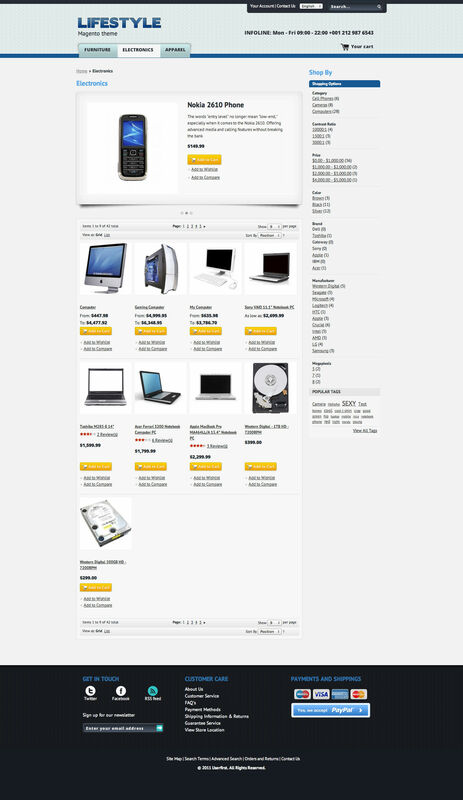 The additional information, upsell products and reviews are all embedded in a tabbed panel, thus reducing the vertical scrolling and facilitating the navigation. 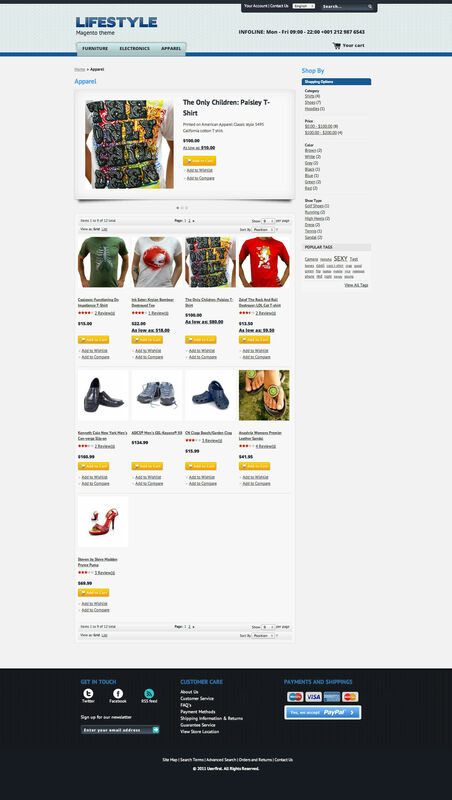 A built-in jquery slider displays related products and banners without need to edit your Magento catalog. 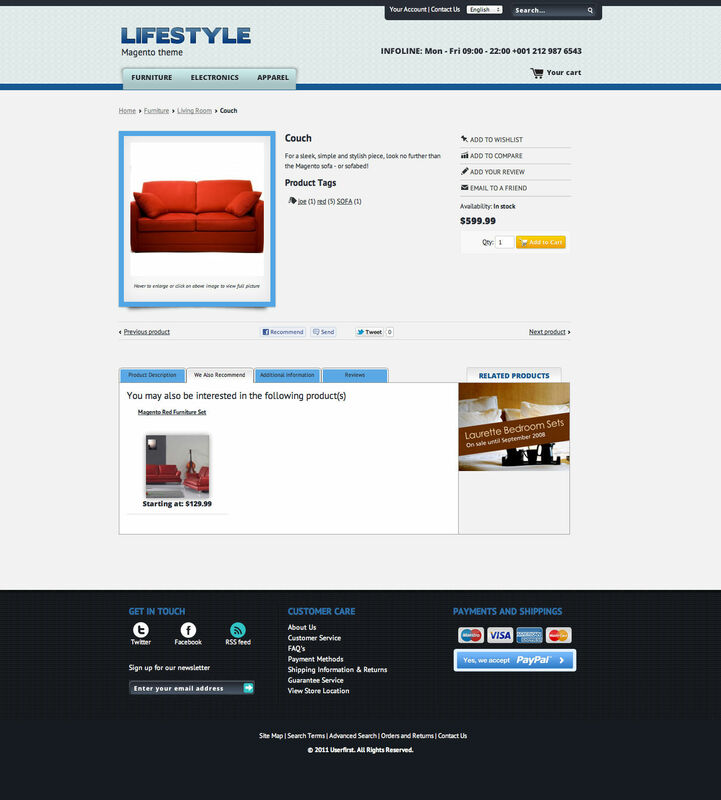 Have a quick look at the shopping cart, edit your cart items, and/or go directly to the checkout page without the need to re-load the page. The one page checkout steps have been redesigned with a clean a smooth transition effect to make the payment process more user-friendly. Every page embeds a unique canonical URL which will be read by Google and other search engines regardless of how many urls are generated by Magento, thus avoiding a duplication of content on search results. The theme fonts are loaded from Google CDN server without the need to embed web fonts thus reducing the loading time while maintaining a distinctive look and feel. 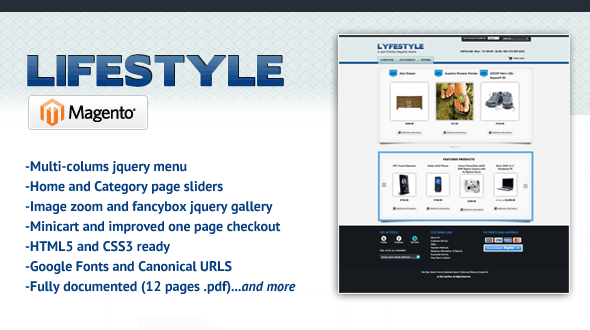 Lifestyle Magento theme comes with a 12 pages .pdf documentation which guides you step by step from the installation to the customization through clear screenshots and link hints. You can localize in any language the product ribbons on the home page (new/most-viewed/best-sellers/special price): open the enclosed .psd file to edit your texts and export the images as explained in the documentation. When copying the XML code provided in the documentation, please use an xml or text-only editor before pasting in Magento. This is to preserve the code integrity and to display the sliders correctly.